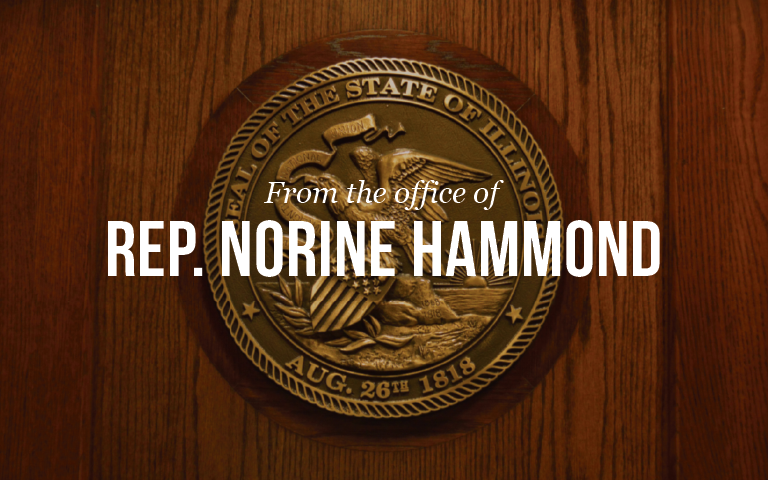 “Issues like taxes and spending – especially right now in Illinois – are of much concern and many people in the 93rd District are widely divided on the issues, which put me in a difficult position when I cast my vote. Ultimately, I voted YES on overriding the veto because I believe it to be the most fiscally responsible path forward. If we continue this course we have for the last two years – which we undoubtedly would if this budget package is not passed – Illinois’ bond rating would definitively become junk status. This means that if Illinois ever wanted to borrow money, the state would be paying so much in interest that it would take decades, if ever, to pay off without massive tax increases. Today, the State is paying $20 million a day in interest and penalties on unpaid bills, which now total approximately $14 billion. If we do not pass the budget package, that backlog would total $24 billion and the tax increase included in the budget package would have to be even larger, depending on the timing from 5.5%-8%, if the State ever wanted to see a balanced budget or a day in which bills are paid on time. If we expect to send our children to school in the fall, we have to pass a budget. If we value our universities and community colleges, we have to pass a budget. If we want to provide meals and services to seniors and the disabled, we have to pass a budget. The budget package passed by the House and Senate represents a compromise of approximately $2.5 billion in cuts with additional revenue. Unequivocally, there was extensive input from Republicans on what should be included and excluded from this budget proposal.